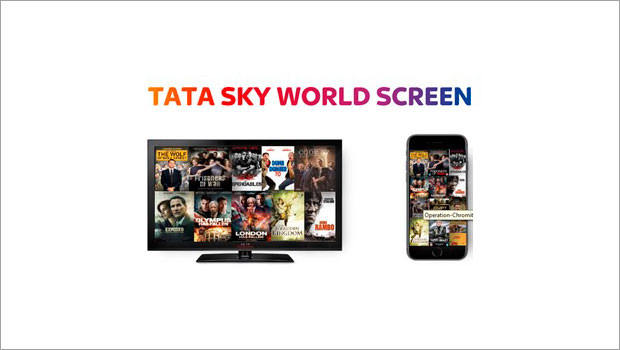 So, before the weekend approaches we were already in for a treat from the biggest DTH service in India, Tata Sky the launch event for TataSky World Screen… and guys this made the approaching weekend much enjoyable and I was already looking forward to reaching back home to get glued to my TV set to watch the TataSky World Screen. The content is in multiple languages apart from English, for example, Arabic, Portugese, German, French Italian, Hindi, Japanese, Chinese, Korean, Israeli,,,to name a few. Moreover all the movies you can watch with English subtitles, so seeing the whole world at your fingertips with your preferred language was never so easy. Not only you can watch the movies but also you would be able to watch a lot of TV series from around the world. The launch event was a fun event with the Stand Up comedian Arnav Rao playing with his words and making it funny for his audience, accompanied by the chilled mocktails and beer served along with hot and juicy starters. Followed by the preview of the World Series content of some sitcoms and movies which made the evening complete and a pre cursor to the great weekend ahead.